In a month from now, the AIADMK will be on test. 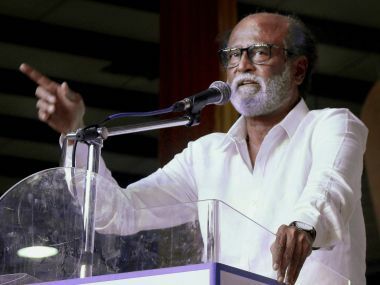 It will face by-elections to three constituencies — Aravakurichi in Karur district, Thanjavur and Thiruparankundram in Madurai district on 19 November. This when its supremo, Jayalalithaa is in hospital and unlikely to be in a position to campaign for the party candidates. Aravakurichi and Thanjavur were a blot on electoral democracy in India. The two constituencies witnessed such a blatant attempt to vitiate the electoral process that the Election commission in a first, cancelled elections over bribing of voters. The by-poll in Thiruparankundram is taking place because the newly-elected AIADMK MLA SM Seenival died on 25 May, just six days after he won the election. 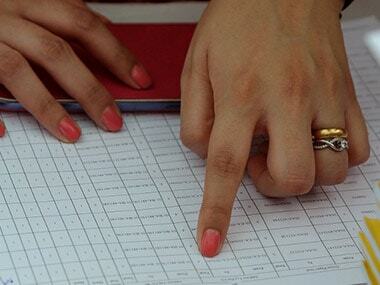 The local body polls on 17 and 19 October were to be the political test for both the AIADMK and DMK. It worked to the advantage of both parties that the Madras High court stayed the election process. The ruling party was crippled by a leadership crisis. With its top two decision makers — Jayalalithaa in hospital and Sasikala looking after her — the AIADMK did not look like a cohesive fighting unit. Particularly when such elections witness quite a bit of local level intra-party rivalry and sabotage, that needs astute micromanagement. The DMK was not sure how the sympathy factor for Jayalalithaa would play out at the panchayat and ward-level. Usually, hyper local issues carry the day but with Jayalalithaa in hospital, the DMK could not read the mind of the voter. The three by-elections will be important in more ways than one. For the AIADMK, it is an opportunity to show that the party can stand on its feet even when Amma is not active on the battlefield. It will also test the second line of leadership that is otherwise dormant in the party. The party can be expected to seek votes in the name of an ailing Jayalalithaa and it may also garner significant sympathy vote. It is still early days for the AIADMK government and there isn't any perceptible anti-incumbency in the air. With Jayalalithaa not in a position to decide on strategy, who calls the shots will be significant. Sasikala, her trusted aide is the de facto number two in the AIADMK, even though she does not hold any position in the party. With several caste-based factions emerging within the ruling party since the time Jayalalithaa was admitted to hospital, the three bypolls will also test the ability of different warring groups to stick together to ensure the AIADMK candidates win. The DMK faces a dilemma as well. It will be difficult to attack Jayalalithaa or her leadership directly as that may turn the public mood against it. At best, DMK can tap the resentment among farmers over Tamil Nadu's inability to compel Karnataka to release sufficient Cauvery water. That is expected to be a key election issue in the three constituencies. For DMK to give the AIADMK a tough fight, a lot will depend on how united the opposition is in the three constituencies. One of the reasons for Jayalalithaa returning to power in May was the divided opposition, with the Third Front led by Vijaykanth taking away a chunk of the votes. Parties like the PMK, DMDK, MDMK, VCK, BJP came a cropper but took away vote share that the DMK-Congress would have fancied coming into its kitty. 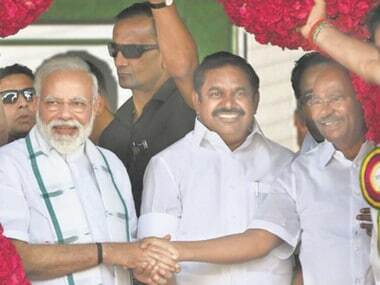 Would Vijaykanth, Ramadoss and Vaiko act differently this time is the crucial question? In all probability, the DMK would contest all three seats. More so, since Rahul Gandhi's visit to enquire about Jayalalithaa's health led to speculation that the Congress Tamil Nadu is looking to do business with the AIADMK. The DMK was not amused with the flying visit by the Congress vice president. Along with all these political parties, the Election Commission too will be on test. During the election period, Aravakurichi saw seizure of Rs 7.12 crore in cash, 429 litres of liquor and 33 kg of silver worth Rs 9 lakh. Thanjavur saw Rs 75 lakh in cash and 2145 litres of liquor being confiscated. This is not to count the one lakh dhotis and sarees distributed by both the Dravidian parties. There were indirect ways of inducing the voter too. According to the EC, the AIADMK candidates had gifted between Rs 5 lakh and 50 lakh to villages and residential localities to renovate temples. Tokens were given to families to purchase home appliances after the May 16 election. In fact, in April in the run-up to the elections, the Karur SP raided the premises of CP Anbunathan, a businessman and recovered Rs 4.8 crore and 12 currency counting machines. The police also seized a van that had been done up to look like an ambulance with a Government of India sticker on its front windshield. The intention clearly was to use the fake ambulance to transport the cash. What is significant is that Anbunathan is known to be extremely close to some powerful politicians in Tamil Nadu. One of the netas still wields significant clout. It will be a challenge for the EC to ensure the same people do not showcase the same kind of obscenity of money power in the next four weeks. 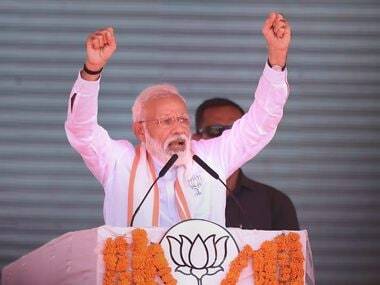 The episode was a watershed for Indian democracy because the EC showed spine in standing up to the office of the Governor of Tamil Nadu who took the unprecedented step of writing to EC to conduct the bypoll immediately. Then Governor K Rosaiah's reasoning was that if elections are held, the two MLAs too can vote in the Rajya Sabha polls in June. The EC refused. The AIADMK would hope that by the time people come out to vote, Jayalalithaa is in better health so that the opposition charge of a directionless government does not hold water.